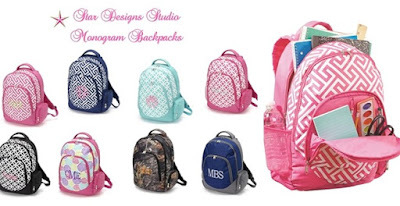 Hurry over and check out these Monogrammed Backpacks for $17.99 (Retail $32)! Shipping $7.50 for the first item and $4.00 for each additional item. US only. Estimated to ship by Jul 24. $11.99 - Gummy Strand Teething Necklaces! Plus Hundreds More! Head over and browse around all the deals from Home Decor, Boutique Clothing & More!